There are two types of blogs I love to read; powerful personal development ones, with takeaway messages, and lifestyle and parenting blogs, which celebrate the beautiful chaos of life with a young family. 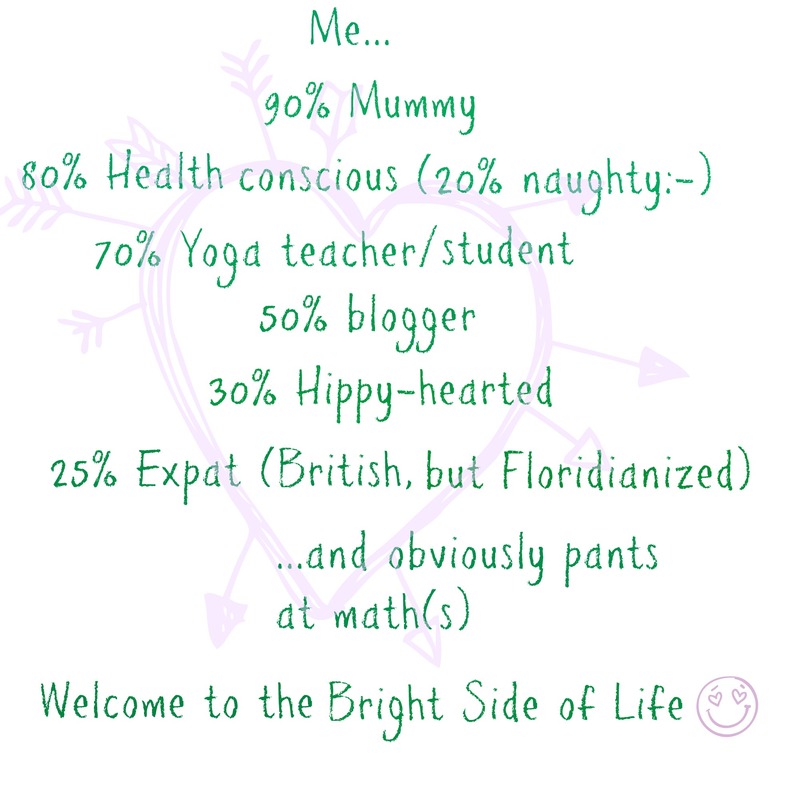 Bright Side is a mixture of the two. Its anecdotal, personal and warm. It charts my life and heart at time of writing, yet its reflective too, rooted in personal development. Lets just call it Personal Development with Personality! Thank you so much, Christal! I’d be very open to some suggestions, I so appreciate the help. I have updated the Contact Me page- thanks for pointing it out- so hopefully you won’t have a problem emailing me through that way. Wow! Too bad about your iPad! Hope the views were worth it for your Cousin. Here’s hoping your broken iPad recovers soon! Tx! Just wanted to tell you keep up the fantastic job! Appreciɑte this post. Will try it out. This is amazing Yvette! I will be reading on.. I just read week 7 and I wish I could explain what I felt. It was a moment where you reflect and say wow! I really needed that and I am not alone. Hi Cindy, So good to hear from you and thank you, your comment means a lot, and I’m thrilled that you have found in Bright Side a home that lets you know that no, you’re not alone. Hi Darrel, Thank you so much for the compliment and I’m honored to offer you some blog tips. Well first off I’d say go for it! There is definitely more to blogging than meets the eye which is why I heartily recommend paying a small fee every year so that you have a hosting company that holds your hand every step of the way. I use Web Hosting Hub and I cannot praise them enough, truly. They have an online support chat so if you have any technical queries they are right there and can help you instantly. A few times, I’ve added a plug-in (ie, the ability for people to Facebook ‘like’ my articles) and lost the whole website! Web Hosting Hub has gotten it back and up and running again for me. They are terrific so I’d suggest starting there. I also watch/ed YouTube videos on all aspects of blogging (how to get more traffic, etc) Marketing is just as important (although not as fun)! as writing material for your blog so try and spend equal amount of time on that, at least initially. I hope this helps! Once you have it up and running, its so much easier. I use Picmonkey as a great tool to edit and ‘fancify’ my photos, and also ‘Share Image As’ to get photo quotes. Enjoy your blogging journey! Its a lot of fun, and well worth it. I am full of delight ,just finding this page that inspires,and challenges me to be positive minded. consists of remarkable and in fact excellent data designed for readers. Take my gratitude thank you for such an incredible sum for the compliment and I’m regarded to offer you some blog tips. Well driving I’d state put everything hanging in the balance! There is unquestionably more to blogging than meets the eye which is the reason I liberally recommend paying a little cost every year with the objective that you have an encouraging association that holds your hand reliably. I use Web Hosting Hub and I can’t laud them enough, truly. They have an online help talk so in case you have any specific request they are in that spot and can enable you to immediately. Several times, I’ve incorporated a module (ie, the limit with regards to people to Facebook ‘like’ my articles) and lost the whole site! Web Hosting Hub has gotten it back and up and running again for me. They are marvelous so I’d propose starting there. I moreover watch/ed YouTube accounts on all parts of blogging (how to get greater development, et cetera) Marketing is likewise as crucial (notwithstanding the way that not as fun)! as making material for your blog so endeavor and contribute measure up to gauge of vitality in that, in any occasion at first. I trust this has any kind of effect! Hi, I appreciate every bit of your efforts to let us know about 90% mummy. In fact, we’re going to study and research it as part of a half-yearly initiative supported by our website and group of partners.